From the outside, blogging may seem like an easy business. Even someone with no journalistic background can set up a successful blog. But the machinations of running a personal site isn't as easy as it looks. Newbie bloggers jump headfirst into blogging, expecting booming page views and explosive feedback from the get-go. However, every blogger needs to start from somewhere. You can't expect to gain wide readership only weeks into it. You have to work on your blog and to build on your brand as a blogger. 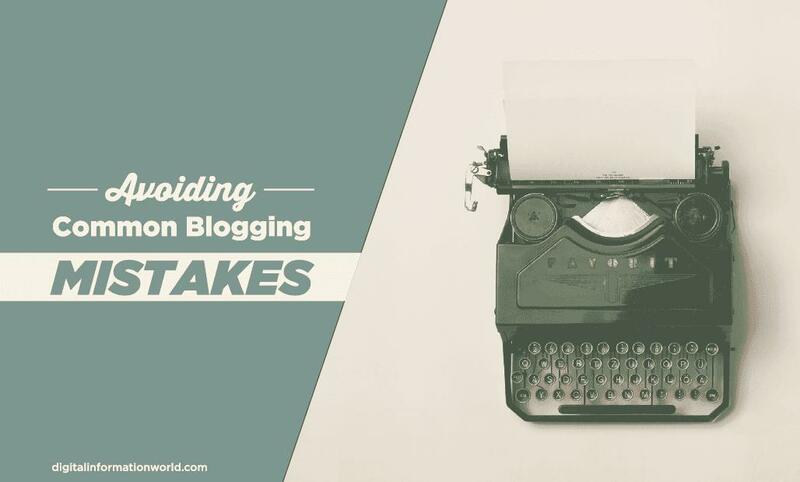 Committing mistakes is as natural as breathing for newbie bloggers, but this doesn't mean these mistakes should hamper one's growth in the blogging world. Being aware that you can and you will commit mistake is already the first step into becoming one of the bests. If you want your readers to take you seriously, spend time making your site look good. Surprisingly, there are still users who fail to change the default theme of their blog platform. You don't have to spend money just to pick a good theme. Wordpress offers a sizable amount of free themes with a good support team. Blogger has more flexible and customizable layout designs. Of course, your blog design options increase when you have your own domain or a premium account. Choose a theme that's easy on the eye, something that allows relaxed reading. Go for a layout that's suitable to your niche and the type of audience you want your blog to attract. One of the first things you have to do is to determine the niche of your blog. Once you know what you're writing about, it's necessary to draw the line and know which topics you won't include in your blog. Everything under the sun doesn't float that well for most blogs. To have a strong and loyal readership, you need to have a target audience. To grab the attention of that target audience, you need to have a determined scope of topics to focus on. They consistently need to see on your blog what interests them. If you post too much about too many different things, your blog will lose direction and you might end up losing the readers who have liked what they first saw. To stand out in a sea of thousand bloggers, it's necessary for you to establish your blog's identity. Or in other words, you need to set-up a brand that you can carry without any sort of burden. This follows the previous idea. You need to know specifically what your brand stands for. You need to have a clear idea what your blog represents. Make your blog easy to navigate by categorizing your posts. From the start, you need to have a clear set of categories, and a clear idea which goes to which. This doesn't just help you as a blogger to sort out the mess that is blogging, but it also gives your readers the chance to explore topics that fall under the same category. Make use of the tagging system, too. It's a more specific organizational system than categories, but it's something that both you and your readers can find useful when looking for a definite topic. It's not enough that you're interested n your topics, it's essential that you understand it thoroughly before writing about it. You have the liberty to say anything on your blog, but it'll be better if you back it up with credible research. You can state your opinions, but support it with facts and evidences. You don't necessarily have to do a library research before you can publish a post, but a quick Google search can lead you to authority websites that can provide you with the information you need. The rule of thumb in blogging is that you must always, always proofread your work. You do not need a perfect grammar. No one expects you to be Shakespeare, but it will help if you can compose an article that's easy to read, without a handful of grammatical errors thrown in every paragraph. Some blog editors have a built-in grammar checker, but there are online tools that can help you with copy-editing your post. Languagetool.org is a reliable site for editing. Every blogger gets thrilled with the prospect of receiving comments. However, many bloggers don't appreciate negative feedback and refuse to approve them. It's necessary to differentiate the trolls from those who are providing constructive criticisms. Opinions will always be divided. It probably doesn't sit well with you to read negative comments, but if you can learn something from it, it's alright if you post them as well. Do not get into fights with those who argue with your position. Instead, say your part eloquently without attacking the commenter personally. Though you don't have to agree with them, make sure that they know that you read their comments. If you're going to leave your comment section open, then make sure that you reply to those graciously leave comments on your post. No matter how busy you are, you must have the time to at least say thanks. It's necessary for them to know that you are reading their comments by replying to them. Engaging with readers is another way to strengthen your hold on your readership. Bloggers need to post original and creative content all the time. However, there will be times when you'll be forced to resort to grabbing materials from sources. Make sure that if you use somebody else's photos, the owner has given permission for the use of the photo. Indicate the name of the owner and provide a link to their website or creative account to show that you do not own the photos you're using. When citing something someone has said, link back to the original source to cite them as sources. Websites like Citationmachine.net can help you with the proper citation format. In the blogging world, everything moves so fast that being out of the loop for a week can already result in a loss in readership. Ideally, you need to set a fixed day to update your blog. Be it once every Monday or twice or thrice a week, your blog needs a constant update. This is where many bloggers end up struggling. Blogging becomes a chore because they simply can't keep up with the schedule. But if you do want to succeed in blogging, you have to update at least once a week. Gone are the days when you only have to rely on Google for page views. These days, it's also important for you to use social media as a tool to promote your blog. Create a Facebook page and a Twitter account for the sole purpose of promoting your blog. If there are days when you don't update your blog, then you can at least update your social media accounts to still drive traffic to your blog. If you don't enjoy what you're doing, then there's a good chance that all your efforts will be futile. Many bloggers found success in their work because they are passionate about what they're doing. It'll be difficult to manage a blog if you're only doing it to gain a following or for the cash. You need to have your heart in it. You need to be interested. You need to be passionate about what you're writing. Blogging can be draining and taxing, but if you love it, it will be worth it. It's normal to make blogging mistakes, especially if you're new to it. But remember, these mistakes should also serve as a lesson on how you can build on your blog and to let it reach its full potential. Have you committed any of the mistakes? If yes, what are the lessons you learned? And, now take a look at this infographic, Sensible Blogging Checklist for Businesses, from thewholebraingroup to learn about how to get started and achieve blogging success! Nicolette Morrison is a freelance writer and social media manager for Edugeeksclub. She can't say no to a good Young Adult fiction and a steaming mug of brewed coffee.